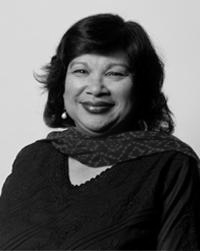 Nisha has been working on poverty, inequality and development issues for almost three decades. She has been the CEO of Oxfam India since its inception in March 2008. Prior to that she worked with the World Bank on development issues for 18 years. Nisha has extensive experience of working in countries in the East Asia Region (Cambodia, Vietnam and Indonesia) and in the East Africa Region (Tanzania, Kenya and Uganda). She has a Doctorate in Economics from the University of Virginia, USA. She has also worked as a Research Economist at the Impact Research Centre, University of Melbourne, Australia. 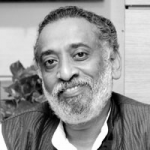 Dilip Cherian widely regarded as the ‘Image Guru’ of India pioneered the concept of Image Management in the country. He is a political advisor and practising lobbyist. He started his career in Government, where he was Economic Consultant to the Ministry of Industry, Bureau of Industrial, Costs & Prices and went on to become the editor of Business India. He was the Co-Founder and Business Editor of The Observer of Business & Politics, one of India’s largest business dailies. He is on the Board of Governors of the Advertising Standard Council of India and serves on the Governing Council of the National Institute of Design. Dilip was elected to International Public Relations Association Global Council as the India Council Member and is the Indian partner with Baird’s CMC. He is a regular speaker at international forums and visiting faculty at universities in India and abroad. His areas of expertise include communications, corporate strategy, crisis management, image management, lobbying, public relations, public affairs, Indian economy and evolving India. Known for his incisive comments on social, political and economic developments in the country, he authors two widely read columns in leading Indian publications. He also comments on economy and business in specialist publications and on television. Ms. Farzana Chowdhury is the first female Managing Director and CEO of the only non-life insurance company with IFC, World Bank equity investment in the country and which has been awarded with the prestigious AAA rating for the 2nd year running. Ms. Chowdhury was recently recognized by the UN as one of ten 2016 Local SDG Pioneers at UN Global Compact Leaders Summit 2016, held in New York City. She has over 15 years of experience in the Insurance. Previously, she served as the Head of Small & Medium Enterprises Banking at BRAC Bank where she designed, developed and implemented a successful business model for SME Insurance. She completed her MBA from Monash University, Australia and earned a Diploma from Malaysia Insurance Institute in 2013. She introduced the concept of ‘Insurance for Everyone’ in Bangladesh and has pioneered numerous insurance products in the Bangladeshi market. These include insurance schemes for women, micro health insurance for rural people, crop insurance, and schemes for garment workers and migrant workers. As one of the 17 participants from across the globe, she was selected for the International Women Leaders Mentoring Partnership program sponsored by US State Department and Fortune 500 companies in 2006. She has been key speaker in many national and international events including recently held International Conference on ‘Transformation Challenges and Opportunities for Bangladesh Garment Industry’ at Harvard University. 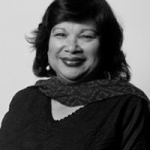 She has throughout her career won many awards which include the ‘Women Leadership Award’ at the World Women Leadership Congress 2015, ‘Australian Alumni Excellence Award 2012 Bangladesh’ presented by the Australian Trade Commission and ‘Professional Excellence and Leadership in Banking and Insurance Sector’ awarded by the Finance Alumni Association of Dhaka in 2011. Anita Marangoly George provides leadership and strategic direction to the Global Practice, which ensures that Bank Group client countries receive world-class service in lending, advisory and knowledge services to meet challenges in the energy and extractive industries sectors. Before assuming this position she was Director for Infrastructure and Natural Resources at the International Finance Corporation (IFC), and before that, a Principal Investment Officer in the IFC’s Infrastructure Department. She joined the World Bank Group in 1991 as a Young Professional, working first as a financial analyst in Europe and Central Asia. 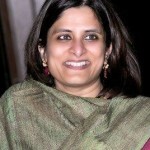 Besides her work with the Bank Group, she has headed Siemens Financial Services in India covering the telecommunications, power and transportation sectors, and has also served in management positions with the Steel Authority of India. Ms. George holds a dual Master’s’ degree in Business Administration and Economic Policy from Boston University. Dr. Archana Hingorani, Chief Executive Officer & Executive Director of IIML, has over 29 years of experience in the financial services business, teaching and research. Her focus has been on private equity, project finance and financial structuring, with a specialization in infrastructure, manufacturing and real estate projects. She has been with the IL&FS Group for 21 years, and has performed a multitude of roles – starting off as an economist and moving on to project finance, and asset management. Dr. Hingorani has worked on some of the pioneering private finance transactions in India and has participated in negotiating and structuring project contracts, especially in the infrastructure and real estate sector. Dr Hingorani’s focus since 2003 has been on private equity fund management. She is one of the founding members of the IL&FS private equity business and has overseen investments with an aggregate capitalization value in excess of US$ 15 bn. Dr. Hingorani is a Bachelor of Arts (Economics) with post-graduate qualifications in Management (MBA) as well as a Ph.D. in Corporate Finance from the University of Pittsburgh, USA. Dr Hingorani is member of the India CEO Forum, affiliated with International Market Assessment Asia (IMA), Young Presidents Organization (Mumbai Chapter) and of the United Nations Environment Programme, Finance Initiative and the co-Chair of the Finance Commission. She also serves on the Advisory Council of EMPEA for Asia. He has over 20 years experience in teaching and 10 years experience in economic policy, besides research interests on a range of issues relating to regulation and competition policy. He worked with Telecom Regulatory Authority of India (TRAI) during its first eight years (1998-2006) and gained hands on experience with telecom regulation in an environment changing rapidly towards competition. The role entailed analysis of economic issues relating to telecom tariff policy, tariff rebalancing, interconnection charges and licensing policy. Market research and questionnaire development and analysis formed an integral part of this exercise. It also involved evaluation of macro level initiatives for transforming the telecom industry. He wrote a number of consultation papers which eventually formed the basis of tariff and interconnection orders applicable to the industry. He has taught undergraduate Economics at the University of Maryland and is currently on leave from the International Management Institute (IMI), New Delhi where he teaches Managerial Economics and International Trade. He has worked with the World Bank, Washington DC, as a Consultant and carried out project assignments for a number of organizations, including ILO, UNCTAD, Lirne Asia, Ernst and Young, Consultancy Development Centre (CDC) and Standing Committee for Public Enterprises (SCOPE). He has published in international and national journals, besides in popular magazines and newspapers. He is founder member of Broadband Society for Universal Access and served on the board of Delhi Management Association. He has an undergraduate degree in Economics from St. Stephens College, a Masters from Delhi School of Economics and a PhD degree from the University of Maryland, College Park. 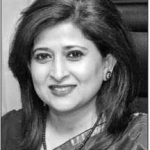 Ms. Parveen Mahmud FCA, is the Managing Director, Grameen Telecom Trust, which facilitates Social Business activities for employment generation, to address social issues and poverty alleviation. 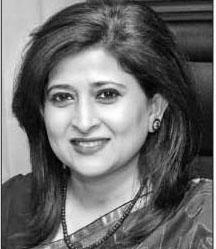 She is a chartered accountant and a fellow member of the institute of Chartered Accountants of Bangladesh (ICAB). In her varied professional career Ms. Mahmud worked substantial time with national and international development agencies and was practicing chartered accountant. 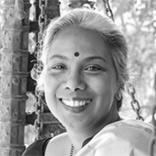 Ms. Mahmud started her career with BRAC, and was the Deputy Managing Director of Palli Karma-Sahayak Foundation (PKSF), an apex funding institution for microfinance activities for poverty alleviation. She was partner, ACNABIN, Chartered Accountants. 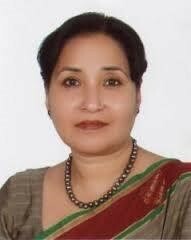 She is the first woman President of the ICAB for the year 2011. She is also, the first female Board member in the South Asian Federation of Accountants (SAFA), apex accounting professional body of the SAARC. 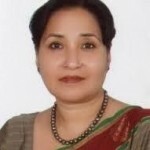 Ms. Mahmud was working Group Member, Consultative Group on Social Indicators, UNCTAD/ISAR. She serves in various Boards, and was the Chairperson, Acid Survivors Foundation. Mr. R.V. 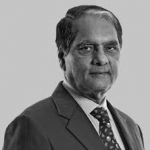 Shahi was Secretary to the Ministry of Power, Government of India (GoI) from 2002 to 2007 and was Chairman and Managing Director of Bombay Suburban Electric Supply Limited from 1994-2002. He is widely credited for reforming and revitalizing the Indian power sector through the landmark Electricity Act of 2003, which liberalized the sector and initiated private investment in Indian Power. He was responsible for central public sector undertakings including the National Thermal Power Corporation. He is the Member Convener of the GOI’s Advisory Group on Power, Coal and Renewable Energy and the Chairman of Task Force on Power Sector set up by the Government of Rajasthan. He graduated in mechanical engineering from the National Institute of Technology, Jamshedpur. He earned postgraduate degrees in industrial engineering, business management, and a diploma in advanced industrial management from Delft, Holland. He has authored various books including Indian Power Sector – Challenge and Response (2005), Towards Powering India: Policy Initiatives and Implementation Strategy (2007), Energy Security and Climate Change (2009) and Light at the End of the Tunnel? Way Forward for Power Sector (2013). Vandana Verma, as IKEA Foundation’s Program Director, leads and manages social projects aimed at improving the lives of millions of children in developing countries with main emphasis on Asia. She takes the lead in fostering new and innovative thinking, oversees program development and is responsible for some of the largest global partnerships of the Foundation. In addition, she also has an advisory role as “Children’s Ombudsman” for IKEA South Asia. 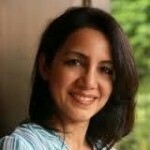 Vandana Verma joined IKEA in 2001 as Project Leader. She took lead in supporting IKEA in developing strategies for preventing child labour and putting social projects linked to IKEA supply chains in South Asia. She is passionate about women and children’s issues related to industries. 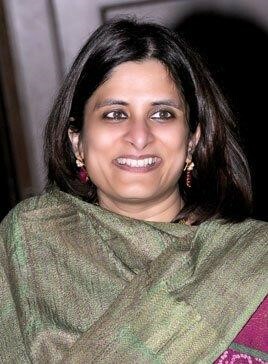 Prior to joining IKEA, she worked with the Indian Council for Research on International Economic Relations (ICRIER), the World Bank and the International Labour Organization (ILO) on issues such as competitiveness of Indian SMEs, child labour and women’s entrepreneurship in more than six Asian countries. Binoo has been the Chief People officer, for Yum! Restaurants International, Indian subcontinent till May of 2013. She has 25 years of experience in multinational organizations in the IT consulting and Food retail space of which the last 10 years have been as the head of the function. She has played both Global and India Leadership roles and worked in cross cultural teams across UK, US and South East Asia. Binoo has extensive experience in the areas of HR Strategy, Organization Design and Leadership Development, Creating an Employer Brand and Culture building. She has experience in training on Leadership Development programs, Team effectiveness, Coaching and culture workshops. At Yum! Binoo defined the Employee Value Proposition, drove initiatives to build People Managers and Leaders and created an inclusive culture through the Special KFC project. In her tenure Yum! was listed in “The top 50 Great places to work” and awarded the “Shell Helen Keller award” for enrolling specially abled teams into the workforce. Prior to joining Yum! Binoo worked with Sapient and Steria as their People Strategy Lead. At Sapient she defined their Global Competency Model and performance management program to reflect change in business strategy. In addition to her corporate experience, Binoo also has social development experience through her work in the non-profit sector.